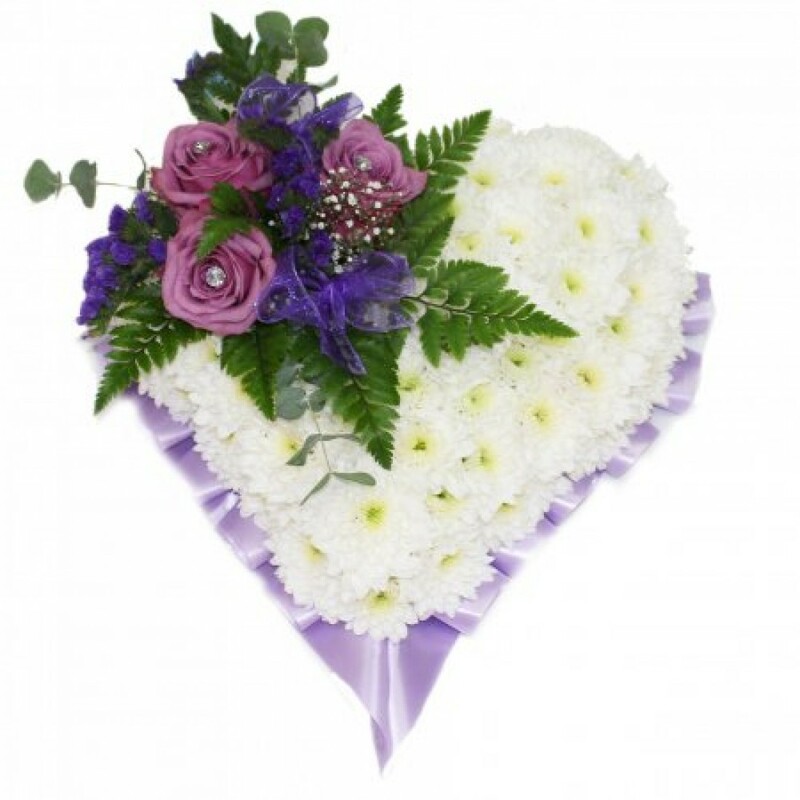 At Pams we are delighted to present this product available for flower delivery in Corby we will deliver up to 12miles at extra cost. 15" based heart with purple and lilac sprayand trimmings. Can be arranged with any colour ribbon trimming and spray tp your choice.